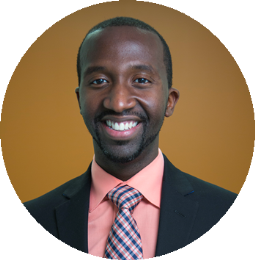 Warren Morgan is currently the Executive Director, Teach For America – St. Louis, MO. During the Fellowship, Warren was the Academic Superintendent for Investment Schools for Cleveland Metropolitan School District. Prior to the Fellowship, Warren was a classroom teacher and then served as principal of Manly Career Academy High School in Chicago. In this role, Warren led the dramatic improvement of student performance and outcomes of a formerly level 3 school that had been on probation for 17 years and achieved an improvement by 52% CPS Performance Policy points in just two years. In 2009, Warren was awarded Outstanding Teacher of the Year by the St. Louis Public Schools Community Education Department. Warren holds a B.A. in Psychology from Butler University and an M.Ed. in Educational Administration from University of Missouri St. Louis, and he is currently working towards an Ed.D. in Urban Educational Leadership from the University of Illinois-Chicago.